Six months smile - hit or myth? Currently on the market there are many companies offering so-called fast orthodontic treatment. These companies are training dentists during the 2-day "teeth straightening" courses, and then supply them with marketing materials and products to set them up with braces immediately after the seminar. Demand for such services is very high because in theory it provides patients with what they want, in short treatment for a lot cheaper. What is this technology and whether in fact the teeth are moved faster? Brackets used in this technique are a traditional brackets and have been known in orthodontics for many years. They can be metal, gold, clear or tooth-coloured. These brackets are identical to those used by orthodontists and there is no innovation in their construction of any kind which would enable faster tooth movement. The same applies to the metal arches used in this method. Everyone who wish to safely move the tooth must trust a natural ability to rebuild periodontal tissues. Quick teeth movement might lead to teeth roots resorption (dissolution, disappearance) or tooth decay (if tooth nerve growth does not keep pace with the tooth shifting), so in this method, the teeth must be (moved) at the same pace as offered by traditional orthodontic treatment. So how it is possible to straighten teeth in only six months if specialists provide the same in 2-3 years? The secret lies in the phrase "to straighten teeth." Those who offer this type of treatment will not tell you that the result of therapy is different than the one proposed by orthodontists. Orthodontists who train and present different cases for many years, not only focus on the six front teeth but treat disorders such as crowding, protrusion, open bite, overbite, cross bite, impacted teeth, supernumerary teeth and teeth missing. This not only straightens all your teeth but affects the way they bite together. In the six-month treatment, brackets seem to move your teeth faster because the dentist only straightens the front teeth and removes braces without treating coexisting disorders as mentioned earlier. In other words, treatment is more rapid, but it is concluded on purpose before reaching full effect. Okay, but if we want only the front teeth straightened? Is this type of treatment suitable for all of us? Of course, every smile is different. For sure, some patients can benefit from six months smile and achieve the effect even faster than that. Such patients usually have little crowding and normal bite - without disturbances. If the problem is small, the six months gives more than enough time for treatment, and charges should reflect this. However, if in addition to crowding you have an open bite, deep bite or disorder of the posterior segment, the therapy that focused on the front teeth only may make you feel worse after treatment than before it has started. Crowded front teeth will protrude forward, and a small overbite will be dredged to a large one, open bites open up more, it can also lead to abnormal occlusion (short teeth), because of a change of position of the teeth. The problem lies in the fact that you should have the knowledge and experience to recognize whether we are actually dealing with a simple case of crowding, and such skills are difficult to acquire in the course of two, three-day training. In six months smile type of treatment dentist applies brackets as it is determined by the dental laboratory and also further treatment is carried under its dictation. In this case, the brackets are only a tool. They can move the teeth just as much as planned by a technician who had never seen a patient. Bonding the brackets onto your teeth is just the beginning, knowledge of what to do on subsequent visits and how to lead the treatment to successful end is crucial. To paraphrase, if you will purchase a woodworking tool does not automatically make you a good carpenter. I'm not saying that orthodontists are better than dentists, just the fact that the knowledge, training, talent and experience are the key to success. If your orthodontic therapy is based and guided by the dental technician, you've never seen what will happen if you suddenly lose contact with the person, who had access to this technology? Summarizing- Is treatment within six months really cheaper? Comparing the amounts for setting only the front teeth compared to the price of comprehensive treatment by an orthodontist difference is small. Even if they represent 75% of the total treatment despite the apparent savings may be much more expensive. I can illustrate this with an example, when for the painting the entire house should cost £ 4,000, and painting only visible front from the street £3,000. Which of these services would be cheaper? Consequently, if the patient is not satisfied with the final result of treatment in six months, he still will have to pay extra for the full orthodontic treatment to get rid of the problem. Why would a dentist after a few days of the course would be able to set the smile better and faster than a fully trained specialist with a minimum of three years of training? What can be done if I am not satisfied with the result of orthodontic treatment in six months? How can you find a professional who will undertake the treatment of complications after “six months treatment”? Before you decide to start your orthodontic treatment, carefully check the specialist. Please be safe and wise!!! Descending tan, dry air in heated and air-conditioned rooms - winter can have an impact on our skin. This is a time of mainly variable temperatures, wind, rain, on which our skin reacts increasingly drying. It becomes rough, there is a clear change in its elasticity, and it does changes its colour to grey and dull. Would you like to improve appearance of your skin for coming spring but you are not keen of any kind dermal fillers? An aesthetic medicine and orthopaedics has an interesting solution in the form of platelet-rich plasma therapy (PRP). Those modern methods of treatment platelet-rich plasma are no longer just for the athletes after the injury. Tennis elbow can be caused by working long hours on the computer. Spurs and damage of cartilage can be caused by prolonged sitting. This can now be cured without using bulk of drugs. The treatment with use of specimen acquired from your own blood might be a real godsend for tendons, tissue, joints and your skin. What is PRP platelet-rich plasma therapy? 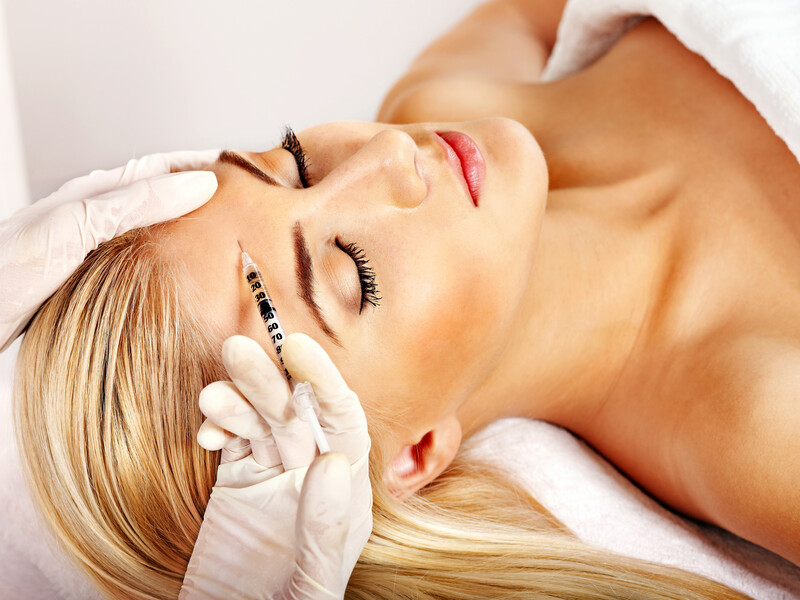 Platelet rich plasma is a part of the natural process of defence and regeneration of the body from all the injuries. It's a great potential for tissue repair during the healing process, thanks to so-called "growth factors" which specifically affect muscles, tendons rebuilding ability and improves a movement after any injury. Platelets are a naturally occurring component in the blood and play an important role in tissue regeneration. PRP is a concentrate of small volume, containing a blood platelet amount several times greater than the basic patient blood. PRP affects the formation of new collagen and improves blood circulation - both of these processes are crucial in the anti-aging treatment (often called Vampire Lifting), gives the skin elasticity, improves its tone and texture. PRP is based on scientific knowledge and innovative technologies for Regenerative Medicine. Its clinical efficiency has been supported by many experienced Practitioners of Aesthetic Medicine all over the the world. It has been carried out under the supervision of qualified medical personnel, giving a spectacular rejuvenating effect. A small sample of the patient's blood (from 20 ml) is treated with special medical equipment to extract the platelet rich plasma – PRP. Prepared so unique PRP containing growth factors, is injected under the skin of the face, neck, hands and other areas treated for of revitalization of the rejuvenation. The regeneration mixture used in orthopaedics is injected into the diseased tissue, damaged tendons, muscles, ligaments, cartilage or bone for intense stimulation and reparation. The treatment with the use of platelet-rich plasma is considered one of the safest medicine treatments due to the 100% bio compatibility and immune neutrality, which carries no risk of allergic reactions, high and effective in achieving the desired effect. How do the active growth factors contained in platelet-rich plasma works? The treatment takes from 20 minutes and up to one hour depending on how big the treated area is. How many treatments and at what intervals should be performed to obtain a satisfactory result? This procedure is performed once and it can be repeated, depending on the natural recovery process and what effect is desired. The number of treatments and the intervals between them are established by your doctor after a consultation and depend on patient's expectations. What changes can we expect after treatment?